– R.A. Batista*, D.D. Figueiredo*, J. Santos-González, C. Köhler. “Auxin regulates endosperm cellularization in Arabidopsis“. 2019 Genes & Development in press. – D.D. Figueiredo, C. Köhler. “Auxin: a molecular trigger of seed development”. 2018 Genes & Development 32:479-490. – S. Chander, D.M. Almeida, T.S. Serra, D. Jardim-Messender, P.M. Barros, T.F. Lourenço, D.D. Figueiredo, M. Margis-Pinheiro, J.M. Costa, M.M. Oliveira, N.J.M. Saibo, “OsICE1 transcription factor improves photosynthetic performance and reduces grain losses in rice plants subjected to drought“. 2018 Environmental and Experimental Botany 150:88-98. – M. Derkacheva, S. Liu, D.D. Figueiredo, M. Gentry, I. Mozgova, P. Nanni, M. Tang, M. Mannervik, C. Köhler, L. Hennig, “H2A deubiquitinases UBP12/13 are part of the Arabidopsis Polycomb Group protein system”. 2016 Nature Plants 2:16126. – D.D. Figueiredo, C. Köhler, “Bridging the gap: communication between maternal sporophyte, gametophyte and fertilization products“. 2016 Current Opinion in Plant Biology 29:16-20. – A.M. Cordeiro*, D.D. Figueiredo*, J. Tepperman, A.R. Borba, T. Lourenço, I.A. Abreu, P.B.F. Ouwerkerk, P.H. Quail, M.M. Oliveira, N.J.M. Saibo, “Rice phytochrome-interacting factor protein OsPIF14 represses OsDREB1B gene expression through an extended N-box and interacts preferentially with the active form of Phytochrome B”. 2015 Biochimica et Biophysica Acta – Gene Regulatory Mechanisms 1859(2):393-404. – D.D. 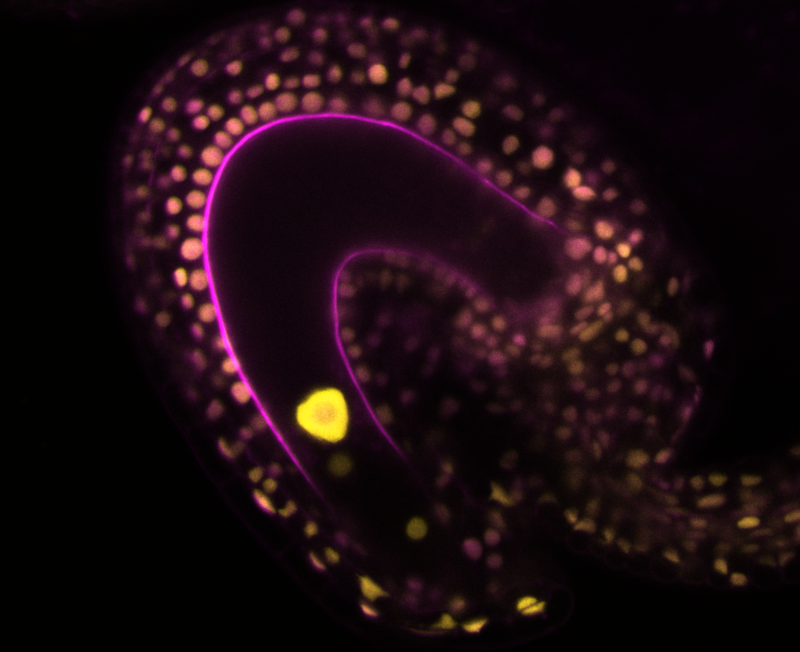 Figueiredo, R.A. Batista, P. Roszak, C. Köhler, “Auxin production couples endosperm development to fertilization“. 2015 Nature Plants 1:15184. – D.D. Figueiredo, C. Köhler. “Signalling events regulating seed coat development”. 2014 Biochemical Society Transactions 42:358-363. – T. Lourenço, H. Sapeta, D.D. Figueiredo, M. Rodrigues, A.M. Cordeiro, I.A. Abreu, N.J.M. Saibo, M.M. Oliveira. “Isolation and characterization of rice (Oryza sativa L.) E3-ubiquitin ligase OsHOS1 gene in the modulation of cold stress response”. 2013 Plant Molecular Biology 83(4-5):351-363. – T.S. Serra, D.D. Figueiredo, A.M. Cordeiro, D.M. Almeida, T. Lourenço, I.A. Abreu, A. Sebastián, L. Fernandes, B. Contreras-Moreira, M.M. Oliveira, N.J.M. Saibo. “OsRMC, a negative regulator of salt stress response in rice, is regulated by two AP2/ERF transcription factors”. 2013 Plant Molecular Biology 82(4-5):439-455. – A.P. Santos, T.S. Serra, D.D. Figueiredo, P. Barros, T. Lourenço, S. Chander, M.M. Oliveira Oliveira, N.J.M. Saibo. “Transcription regulation of abiotic stress responses in rice: a combined action of transcription factors and epigenetic mechanisms”. 2011 OMICs: A Journal of Integrative Biology: 15(12):839-57.